Cleveland Burmese is located in Alice Springs, the centre of Australia, Liz has lived in alice for over 32 years and Scoot 24 years. We are both ACF judges, Liz being ACF International All Breeds and Scoot ACF All Breeds. 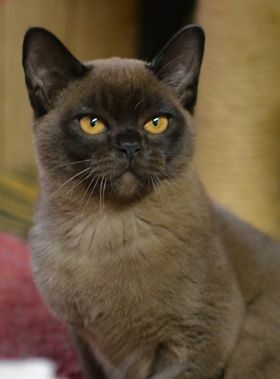 Liz started her breeding with Siamese 32 years ago and until a short while ago when we decided to take a break from the Siamese and are continuing on with our Burmese. We breed for health & temperament in the 4 main Burmese colours. Cleveland Burmese would like to advise that due to a move interstate at the end of the year we are putting on hold our breeding programme. Our girls will be desexed once they have finished raising their last litters. Please check the Queens page & Nursery page on our website for what will be available.